A musical theatre fan from the borough is being given a little help from his artistic friends in his desperate battle to get a rare cancer treated. 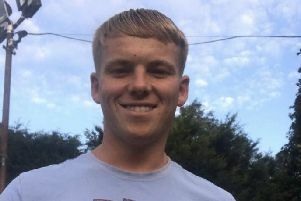 Craig Barlow, from Hindley Green, is looking to raise as much as £150,000 to receive specialist help for his stage three B penile cancer at a clinic in Germany. The dad-of-one, who is a familiar face to theatre-loving Leythers as musical director of the pantomimes at St Joseph’s Players, was stunned by his diagnosis almost exactly a year ago. He is currently attempting to remain upbeat for the sake of his four-year-old daughter Abigail while exploring all medical avenues. His friends from the boards are also keen to help with Nina Lenaghan putting on Epic Fest, a huge night of creative talent at Aspull’s Village on the Green venue in March. Craig, 42, said: “I had never heard of this disease. “I went through a series of operations and radiotherapy last summer but the hospital then noticed it had come back and another operation was not very successful. “Unfortunately there was no further treatment available for me which was quite a difficult pill to swallow. “I’ve got to remain upbeat. I want to get to Germany as soon as I can, certainly this year. “It’s not just about my treatment though, I want to raise awareness of this disease. “Men will quite happily talk about testicular and prostate cancer and this needs to be the same. Craig is currently taking part in a clinical trial at The Christie in Manchester and wants to approach high-profile celebrities such as Jason Manford to back his campaign on social media. He has also asked for help raising awareness from Makerfield MP Yvonne Fovargue. His friend Nina’s fund-raiser Epic Fest on March 29 will feature seven artists including two bands, a pianist and a magician. Craig is also getting around 25 musical friends together for a night at the end of March at St Joseph’s Hall in Leigh of songs from the shows. Find out more by searching for Craig Barlow at www.justgiving.com.